[02/01/2019 @ 4:50 PM] Book this fare on: Priceline, BookingBuddy, Travelocity, Orbitz, CheapTickets, SkyScanner. [02/01/2019 @ 6:23 PM] Fare gone. Removing from deal list. 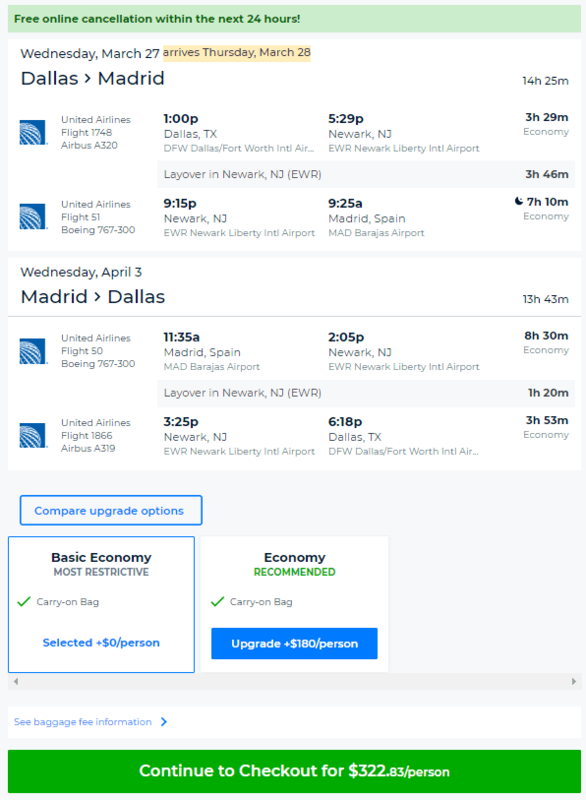 Lufthansa, United, and Alliance partners have round-trip flights from Dallas (DFW) to Madrid (MAD) starting at $323 with a connection. Flights late-March to mid-May. Flight may operate as a Star Alliance code-share. 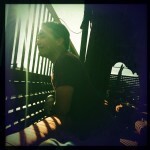 Holiday blackouts apply. 7-day minimum stay required. Note: Fare allows for a free carry-on, but a checked bag will cost about +$60 each-way. Madrid – Example Dates: (BookingBuddy / Priceline) Mar 27 – Apr 03 / Apr 02 – Apr 09 / Apr 30 – May 07 / May 01 – May 08 / May 08 – May 15 / Other dates: There are more dates available than the ones we list here, experiment on your own.